Filled to the brim with history, ambiance, and character, there is nearly an endless number of things to do in Istanbul. 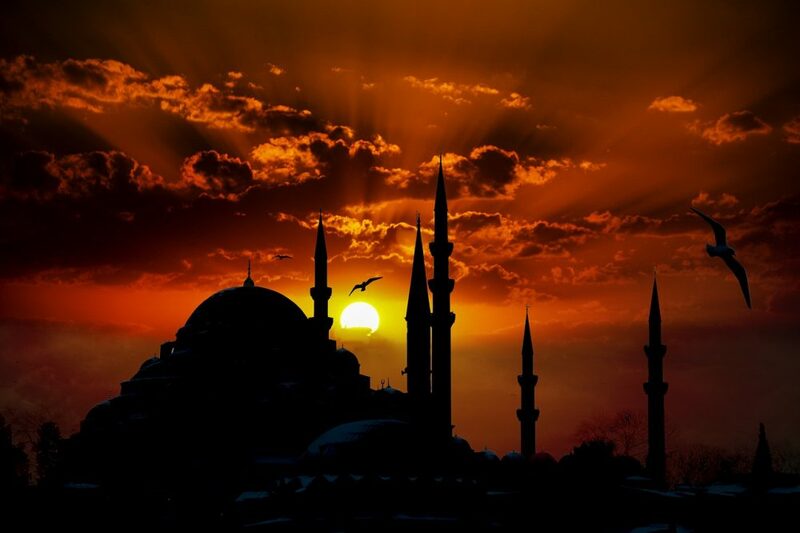 Istanbul is of the most well visited cities in the world, and with good reason. 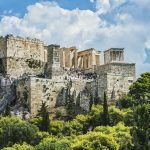 No matter what you like to do while visiting a city, there is no other destination that has amassed so much humanity, culture, history, and beauty in one place. From Ancient civilizations through the Byzantine period and the Crusades, on to the Ottoman Empire and the fashionable Pera of modern-day Turkey, the miracle on the Bosphorus has lived it all. 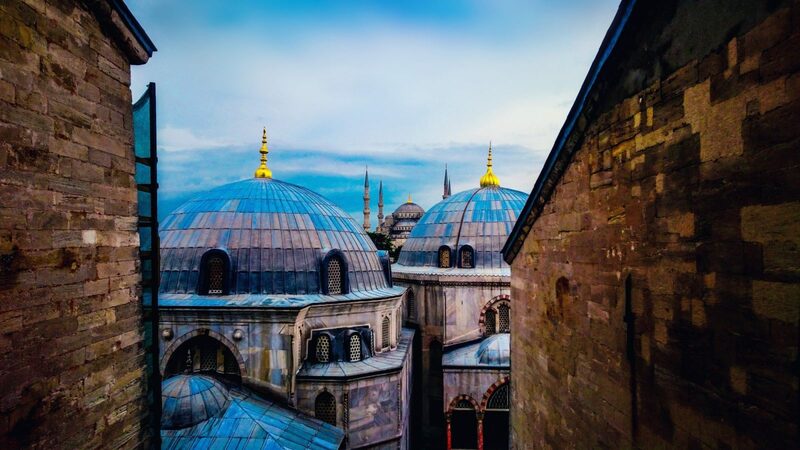 Istanbul is more of a country than a city, unique especially in the way it has incorporated every wave of civilization and has made it its own. 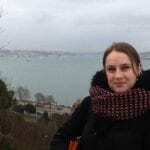 Fast paced, modern and crowded, Istanbul is at the same time romantic and melancholic. 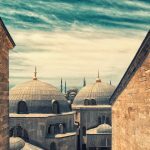 Thus, this list of things to see and doin Istanbul on a first visit is by no means exhaustive, but it is guaranteed to make you fall in love! And for your next visit, feel free to contact Dream, Book, and Travel for a personalized itinerary. 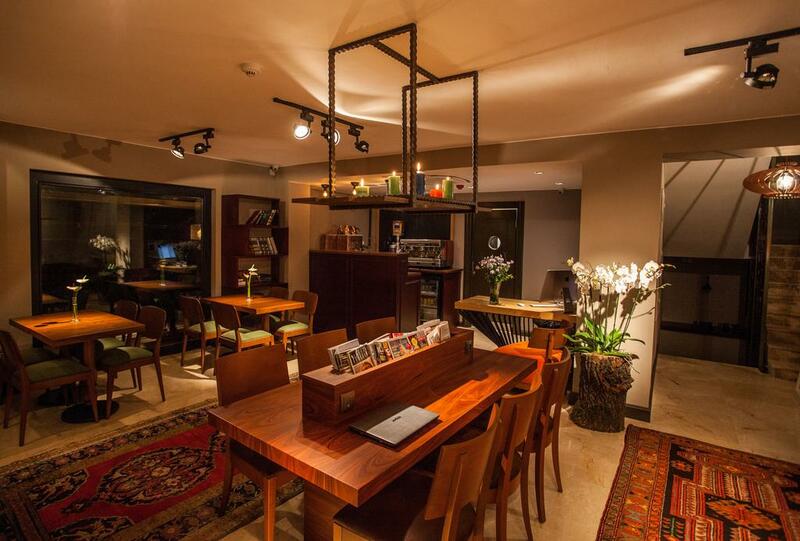 If you’re looking to save a few bucks on your accommodations budget while visiting Istanbul but don’t want to stay in a backpacker hostel, Juliet Rooms and Kitchen design hostel is probably your best bet. This hostel is stunningly decorated, steps from a lovely park and seaside, and has a great fitness room on-site. The design hostel also has free laundry, dorm bed curtains, and a relaxing and comfortable atmosphere. Click here for the best prices. 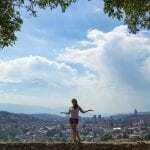 For more awesome hostels in Istanbul check out our guide! If you want to surround yourself in a luxurious and cozy setting while visiting Istanbul the exceptional Hammamhane boutique hotel is an excellent option. The hotel is near the lively Istiklal Avenue and offers guests spacious suites with stunning private kitchens and free wifi. 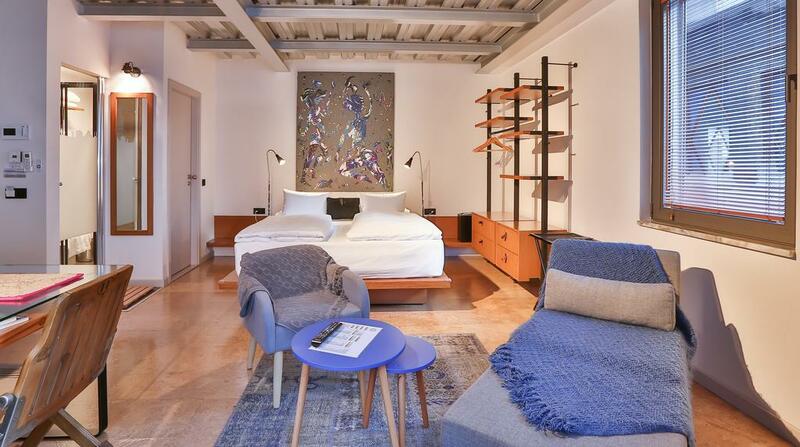 Each suite is tastefully decorated with beautiful furnishings, have air conditioning, floor heating, and flat-screen TVs. Click here for the best rates! The pier at Kadıköy is for many locals the start and endpoint of the most beautiful commute in the world – that across the Bosphorus between the European and the Asian parts of Istanbul. If it is your first visit, the most important thing to do is to take a ferry to Kadıköy, drink a Turkish tea during your trip and then a second one while taking in the view from the pier. You can see the historic peninsula of Istanbul with the unmistakable silhouettes of Hagia Sophia, the Blue Mosque, and Topkapı Palace, separated by the Golden Horn from the Galata district and its famous tower. Immediately to your right is the Haydarpaşa railway station, surrounded by water on three sides. 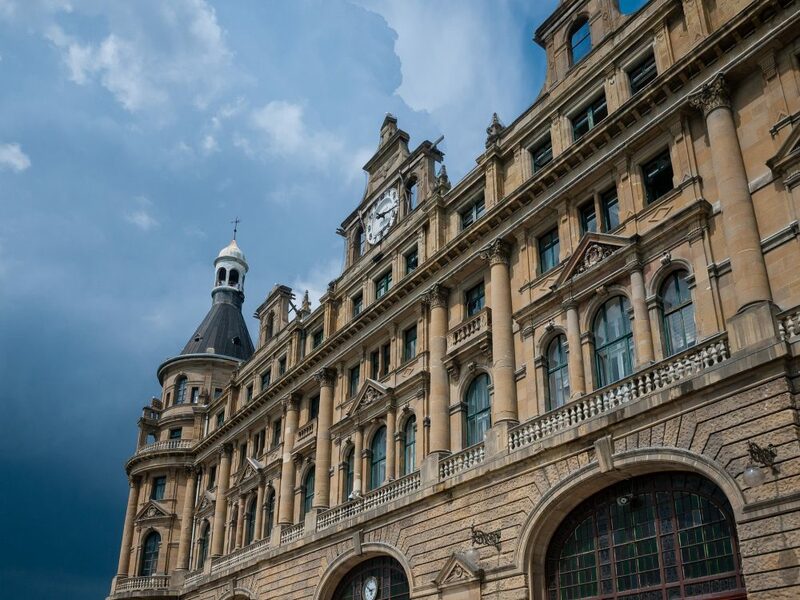 An imposing neo-classical building, this was the end point of the Baghdad railway project and the busiest railway station in Turkey. Closed after a fire in 2010, it is slowly regaining its place among the city’s iconic landmarks. There are two more things you ought to do in Kadıköy: enjoy its authentic neighborhood market and take a Bosphorus boat tour. If you are wondering why you are starting your visit off the beaten path, the reason is a historical one. Kadıköy is old Chalcedon, which religion aficionados might remember as the location of the fourth ecumenical church council of 451 AD. More importantly, legend has it that Byzantium/ Constantinople/ Istanbul was founded based on the prophecy that a great capital would be built “across from the city of the blind”, which is how Chalcedon has been known. Indeed its inhabitants must have been blind to not recognize the strategic advantages offered by the peninsula on the Golden Horn. Located on a tiny islet at the southern entrance in the strait, Leander’s Tower is one of the top things to do in Istanbul. This well known Bosphorus and Istanbul landmark is partly legend, partly restaurant and offshore nightclub. It carries the name of the Greek hero Leander who swam to Hellespont/Dardanelles to see his lover. In Turkish it is known as Maiden’s Tower according to the legend that a princess was confined here following a prophecy that she would die of a snakebite. Hagia Sophia, the “the church of holy wisdom”, is quite possibly the one monument in Istanbul that most represents the history of the past millennium. 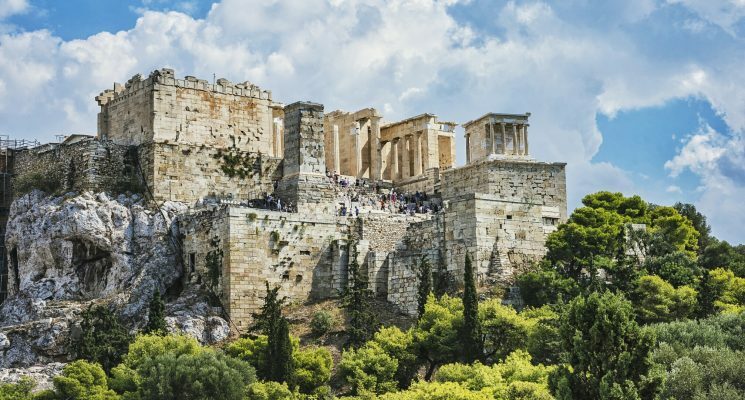 Built at the peak of the Byzantine empire, it featured the highest cupola in the world until Brunelleschi built the Dome of Santa Maria dei Fiore in Florence one thousand years later. Around the same time, Hagia Sophia was turned into a mosque following the conquest of Constantinople by the Ottomans. Nowadays as a museum, the Hagia Sophia still awes with remarkable original mosaics and its unparalleled architectural artistry. Dan Brown fans rejoice! The location where a virus is released to unknown consequences for humankind at the end of his Inferno novel, is actually a wonder of Byzantine engineering. 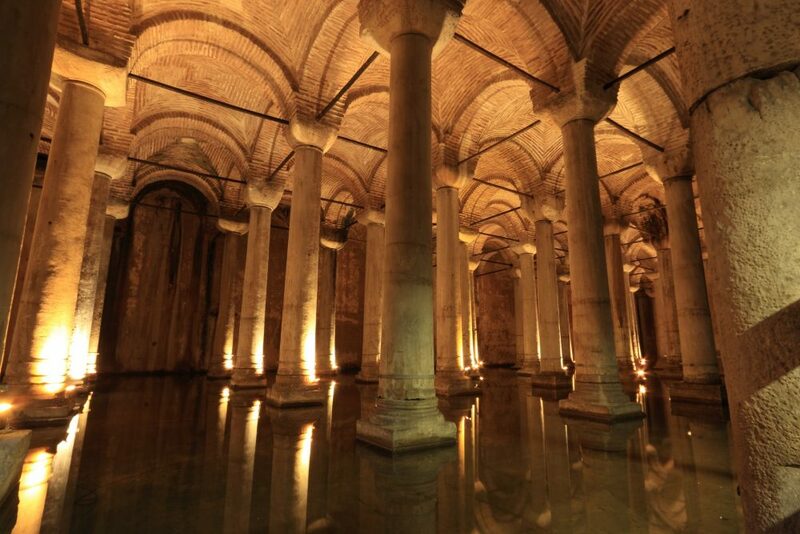 Unlike the Ottomans who used fresh/running water from fountains, Byzantines stored their water supplies in underground cisterns of otherworld beauty and amazing architectural prowess. The Basilica Cistern is definitely worth a visit even if you haven’t read Inferno. For those who did, the obvious thing to do is go search for that Medusa head pillar! The palace of the Ottoman sultans is unique in the world of royal residences as it mirrors in stone the organization and display of the tented encampments of early nomadic Ottoman tribes. 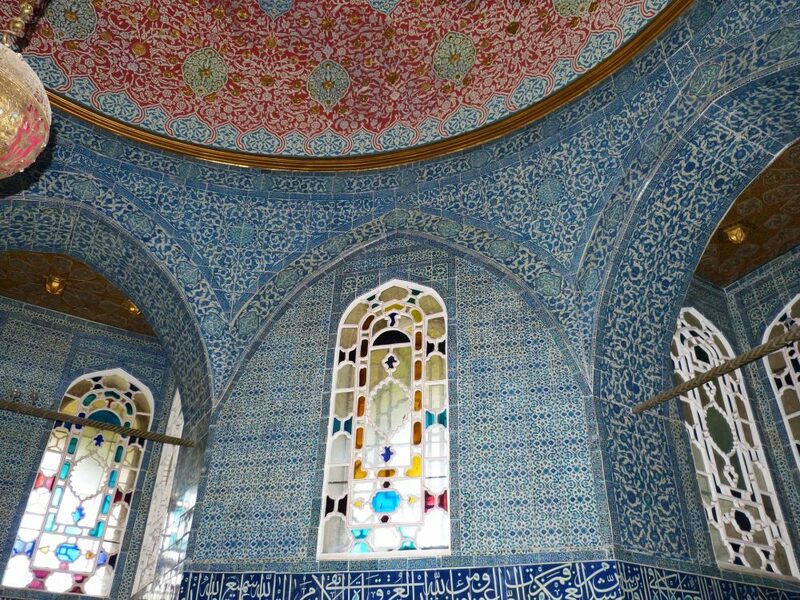 The Topkapı Palace actually is a series of pavilions contained by four courtyards and a guided tour is highly recommended to make the most out of the outstanding collections of historic and religious relics stored here. On your way, in the outer courtyard of the palace, one can easily miss the Hagia Irene Byzantine church, which has never been converted to a mosque, but it was rather used as an arsenal and a repository for war trophies. Nowadays a famous concert venue with excellent acoustics, Hagia Irene should still be regarded with the awe deserved by Byzantium’s first completed church. 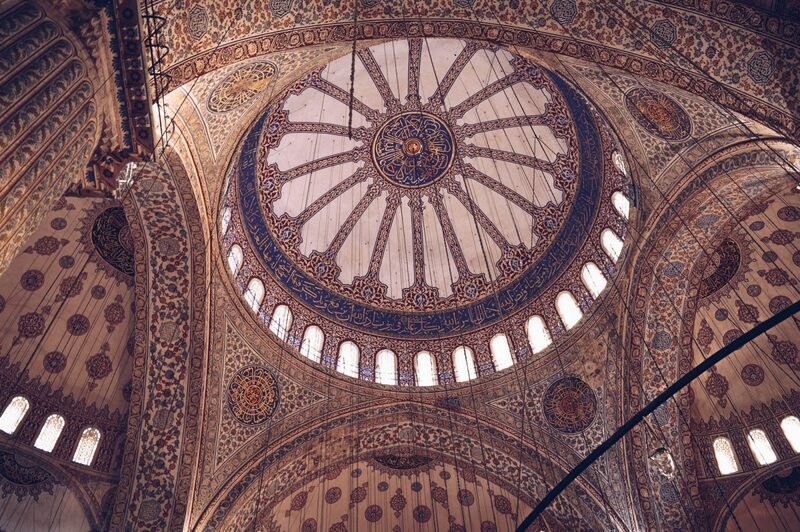 The elegant six minarets of The Blue Mosque, a jewel of Ottoman architecture, have made it famous worldwide. Right across from Hagia Sophia, the mosque is mostly known for its splendid interior that’s decorated with 20,000 handmade ceramic Iznik tiles (thus the name Blue Mosque). Its six minarets were considered sacrilegious at the time as the only other building in the world to have them was the Prophet’s Mosque in Mecca. 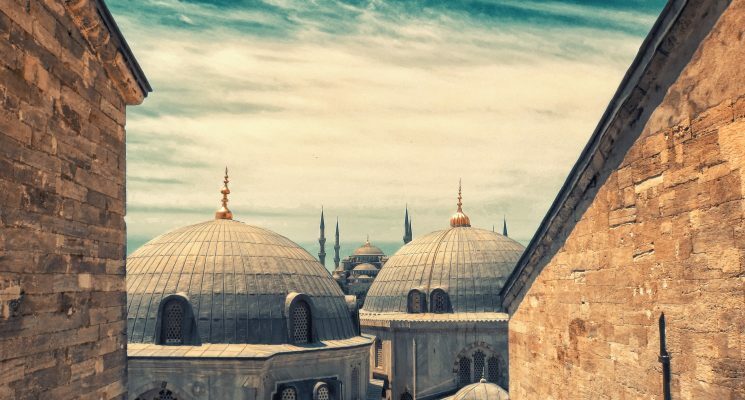 Legend has it that they came to be as a result of a linguistic misunderstanding – when the Sultan decided that there should be altın minare (gold minarets), the architect heard altı minare (six minarets). Prepare to be blown away, especially if you have not experienced oriental trade centers before. 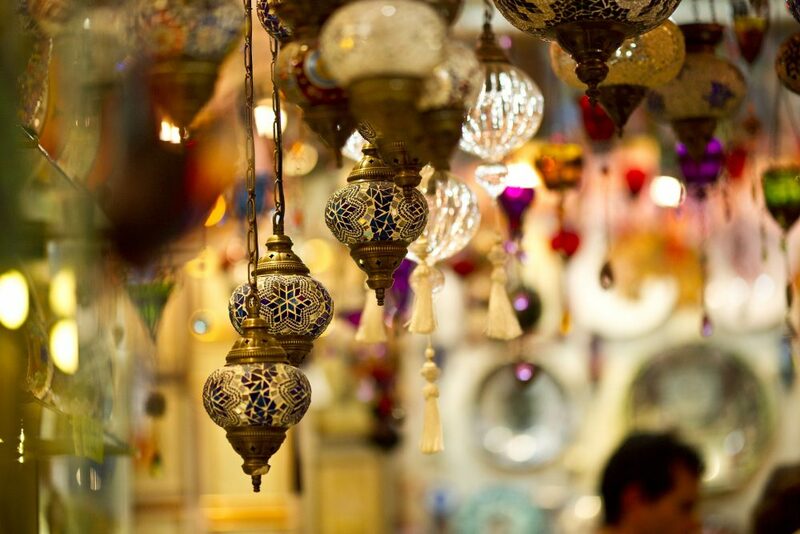 The Grand Bazaar and the area surrounding it are the quintessential expression of a centuries-old trade tradition that has kept Istanbul alive and thriving at the crossroads of cultures. This labyrinth of booth-like shops from which wares tumble out onto the pavement is only known properly by its relentless vendors. 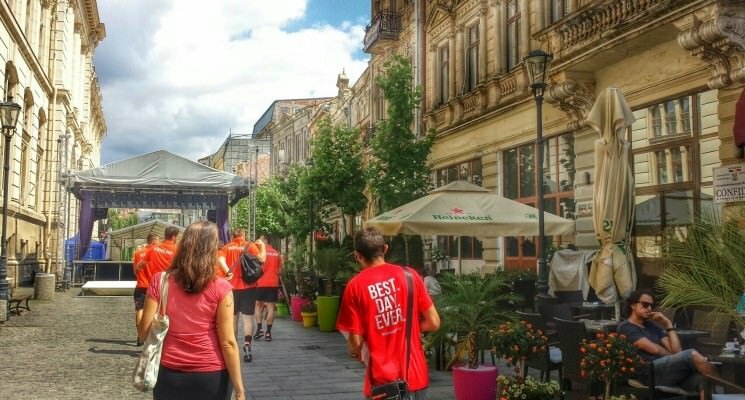 Visitors will rightfully be lost among the 66 streets and over 4000 shops. Although it might feel like a tourist trap at first, there are workshops selling quality handiworks at good prices hidden in here, so it is well worth paying a visit. Important tip – there are item-dedicated sections including those for gold, silver, leather, textiles, and carpets. Get yourself a map and/or a guide and enjoy! The Süleymaniye Mosque, often overlooked by visitors, is actually Istanbul’s most important mosque – the masterpiece of architect Mimar Sinan dedicated to his patron Süleyman the Magnificent. Besides the imposing architectural features of the mosque itself, one should also notice that the complex surrounding it functioned as a charitable foundation. You can appreciate its extent by having a look at the hospital, soup kitchen, schools, bathhouse and kervanseray surrounding the religious building – a welfare system that fed more than thousand of the city’s paupers every day, irrespective of their religion. 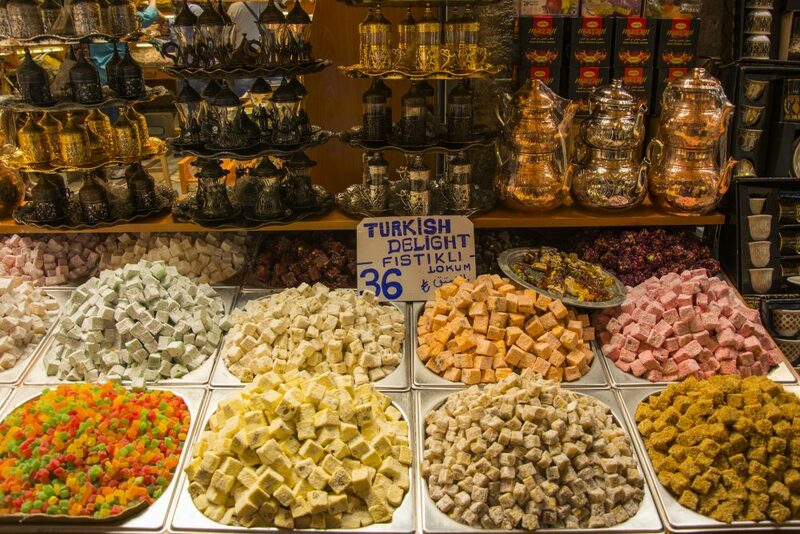 Think rosebud or jasmine tea alongside honey soaked baklava, aromatic coffee and colorful Turkish delight of flavors you didn’t know existed; imagine endless colorful stalls of dried fruit, oriental spices, aromatic herbs, olive oil, and natural soaps. This is the Spice Bazaar, the Grand Bazaar’s smaller, but equally interesting, brother. The covered building that hosts it is part of the complex of the New Mosque and the revenues made from renting the shops used to be employed for the running of the mosque. 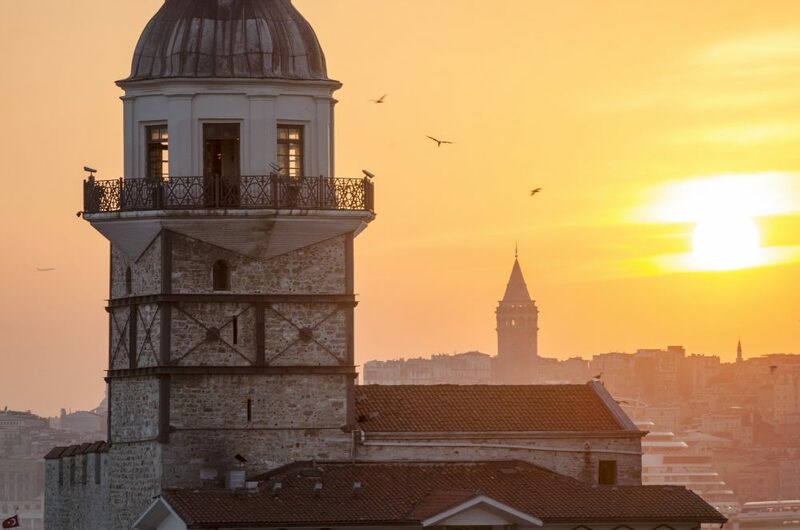 The correct way to reach the Galata Tower (Pera Tower) is by crossing the omonimous bridge that connects it to the historic peninsula. You can even have a delicious freshly prepared fish sandwich (balık ekmek) from one of the many fishing boats here. Walk your way uphill through the narrow streets of Pera, with its romantic end of 19th century flair. In the Middle Ages this was the quarter of Genovese merchants who also built the 67 meters tall cylindrical tower. 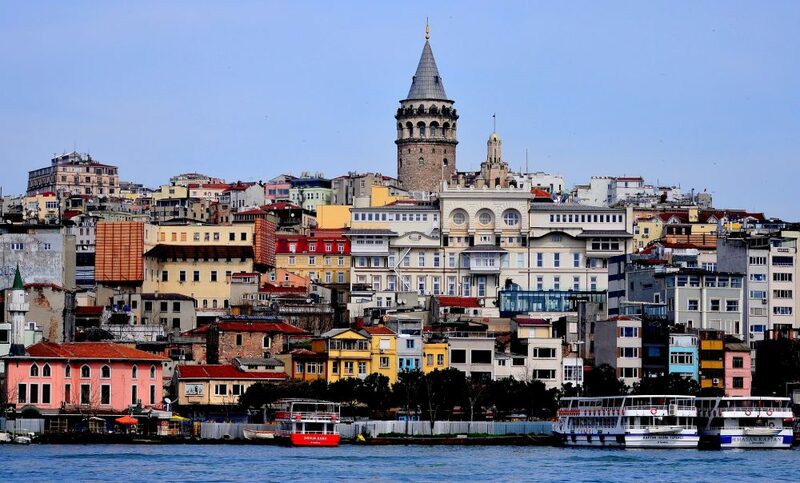 Today, the Galata Tower is the city’s most famous panoramic viewing platform. Beyoğlu District, area around Pera/Galata, has always been associated with foreigners and expats, traders and embassies. Thus, it has maintained a progressive, cosmopolitan, and European flair, as opposed to the more conservative parts of the city. You should not miss the main pedestrian artery, the famous Istiklal Avenue with its bookshops, theaters, cinemas, coffee houses, patisseries, chocolatiers, and art galleries. 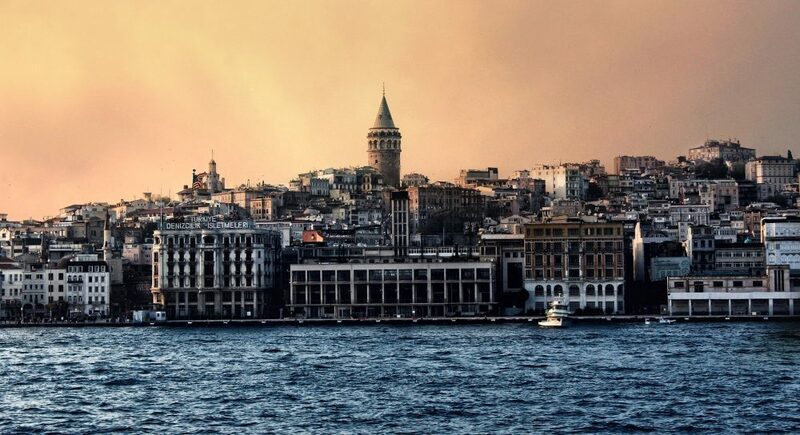 It runs from the Galata Tower to Taksim Square, made famous by the Gezi Park protests of 2013. Towards the avenue’s southern end you can see the world’s second-oldest subway station, Tünel (The Tunnel). Go for dinner in the Çiçek Pasajı (Flower Passage) with its small, intimate taverns, or shop for fish at Balık Pazarı (fish market). Famous hotels like the Pera Palace, schools, and religious buildings of the many communities (Austrian, French, German) that inhabited Pera are the delight of a walk in the area. Literature aficionados should not miss the Museum of Innocence created by Nobel prize winner Orhan Pamuk as a companion to his novel with the same title. This European Museum of the Year 2014 is definitely worth a stop if you want to get a glimpse into the life of upper class Istanbulites in the 1970s. 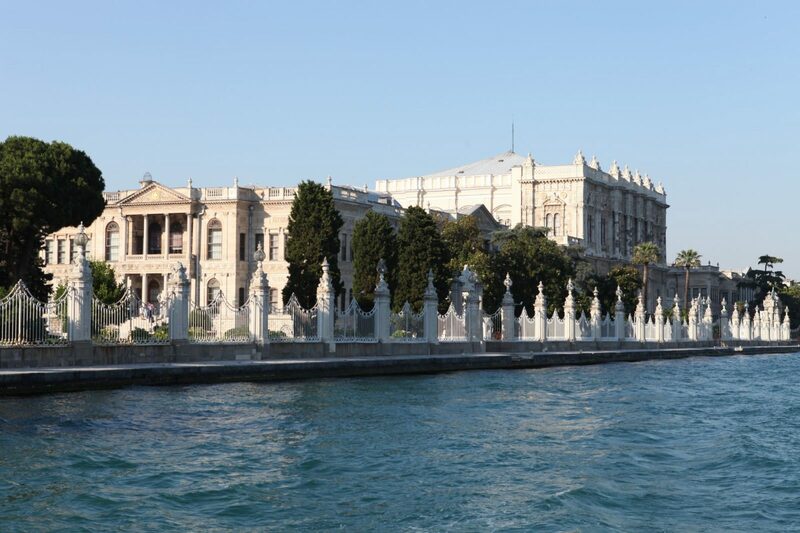 Dolmabahçe Palace, which overlooks the Bosphorus, is the modern residence of the Ottoman sultan and center of his administration. It was built mid 19th century and is the largest palace in Turkey. 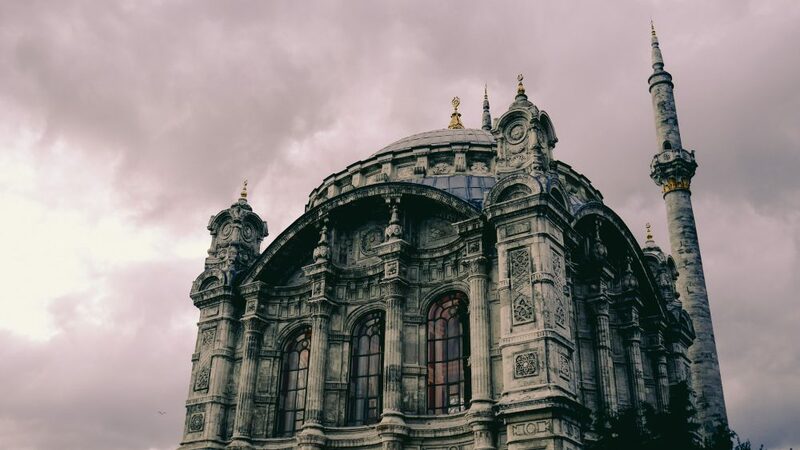 As the Sultan decided to have a more modern, European residence than the traditional Topkapı palace, no expense was spared in the building of this architectural blend of Baroque, Rococo, Neoclassical, and Ottoman styles. Expenses that actually accelerated the final downfall of the empire. A visit to Dolmabahçe will leave you in awe of the world’s largest Bohemian crystal chandelier, and will also give you the opportunity to peek further into harem life and rules, as women were still living in separate quarters here. The national hero and founder of the Turkish Republic Mustafa Kemal Atatürk lived here for a while and died in this palace. In his honor, the clock remains set to the time he died, 9:05 am November 10, 1938. Every year, this is the time of a country-wide standstill in his remembrance. There is no better place to say goodbye to Istanbul than in Ortaköy from the foot of the bridge over the Bosphorus named after Sultan Mehmed the Conqueror. The literal translation of the name of this cosmopolitan neighborhood is “middle village” and it reminds one of the fact that many nowadays areas of Istanbul used to be villages, each with its unique character and atmosphere. Around the beautiful Ortaköy Mosque located on the waterfront is an open air crafts market with original products every Sunday. Ortaköy also prides itself with the best kumpir (baked filled potatoes) in Turkey, so much so that there is a whole area dedicated to this specialty. Great food, amazing history, and breathtaking views. That is how you should remember Istanbul until your next visit! If you still need more suggestions to go along with your Turkish tea or coffee, you can find us at Dream, Book, and Travel. We are a Romanian/Turkish couple who visit Istanbul at least once a year, alongside other beautiful destinations. 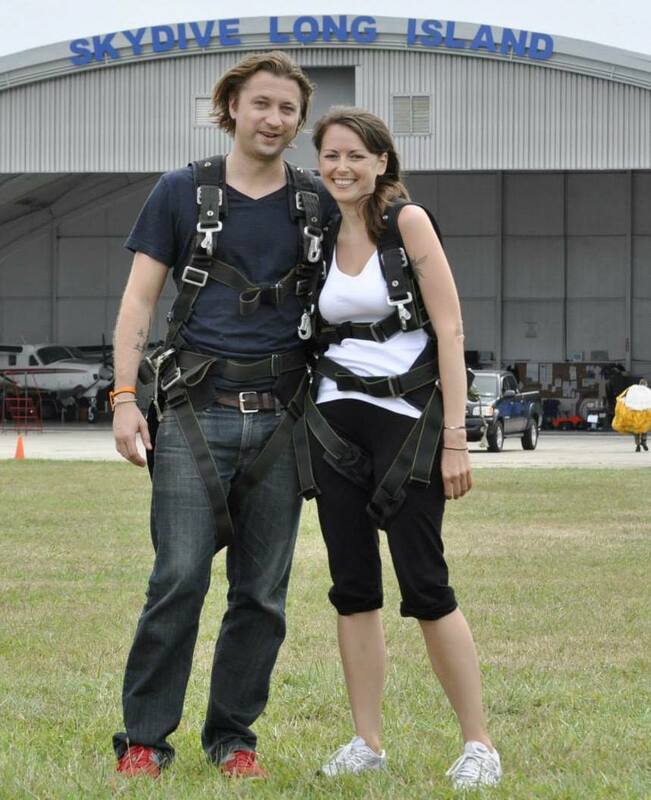 I share our travel experiences on our blog, where we also offer personalized itineraries, book suggestions, couple travel suggestions, and more recently family travel stories. 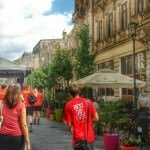 Disclaimer – We have included a few handy little affiliate links in case any of our readers want to book accommodations or tours. We receive a small commission for any sales made, without any additional cost to you, our dear reader.